This intensive is geared towards intermediate-advanced students and is a must for keeping and improving technique over summer! Dancers will be immersed in Jazz, Hip Hop, Contemporary, Improv, Conditioning, Strength & Flexibility. Be prepared to sweat! 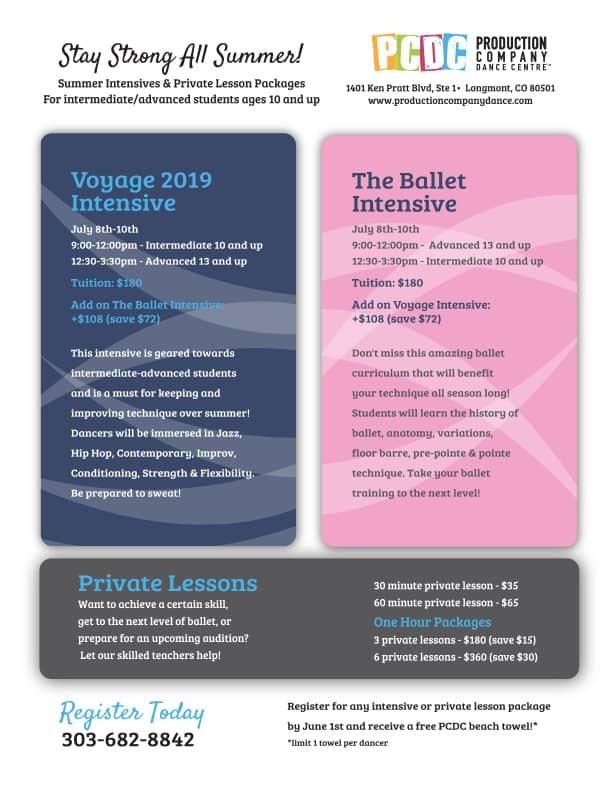 Don’t miss this amazing ballet curriculum that will benefit your technique all season long! Students will learn the history of ballet, anatomy, variations, floor barre, pre-pointe & pointe technique. Take your ballet training to the next level! prepare for an upcoming audition? Let our skilled teachers help!